Salman Rushdie has turned in his last novel and resigned from PEN America to pursue a full-time acting career. He will be joining the cast of Entourage midway through its sixth season as a regular character named “Sal,” a burned out writer in his sixties who desperately tags along with Vince and his young cohorts in an effort to discover a new vitality. That professional relationship so far has been fraught with hubris. 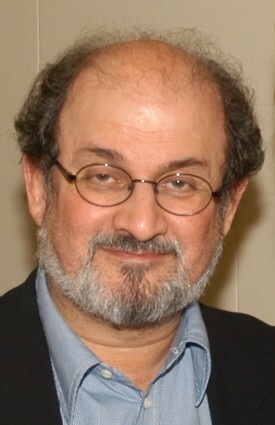 As part of the negotiations, Rushdie demanded four trailers, a 24-hour unlimited buffet only accessible through voice recognition software, and a football stadium-sized vanity mirror to be constructed near San Bernardino, where Rushdie will be permitted to look at himself for long periods of time in an effort to understand the torment of growing older and, in Rushdie’s words, “the difficulties of being Salman.” Sources at several designer clinics have also revealed that Rushdie will be undergoing penile enlargement surgery. Rushdie declined to be interviewed for this story. But he was recently seen at Perez Hilton’s thirtieth birthday party ogling a number of women, referring to several large-sized breasts as Padmas. At least two women threw drinks in Rushdie’s face. One shouted quite loudly, “Grow up!” “Do you know who I am?” replied Rushdie. “Do you know it’s the 21st century?” replied the woman.